Are you an old-timer around here? If so, you may remember Twill Tape Week. And Twill Tape Guy. He’s been a crafty friend of ours for what seems like forever, and is one of the few guys in our crafty contact book. He is the king of Twill Tape. Like, you don’t order a teeny weenie little flimsy 3 yard half cotton half poly pack wrapped in cellophane. 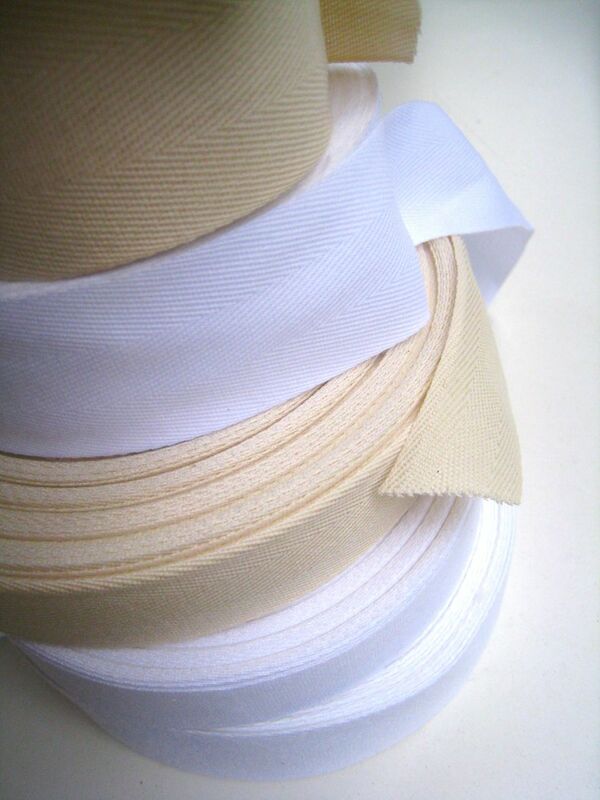 You order a 72 yard roll of delicious, smooth, sturdy, yummy 100% cotton twill tape. As a Skirt Week sponsor this year, Twill Tape Guy is offering four of our eight winners a $25 credit for whatever they’d like to grab up from his shop. 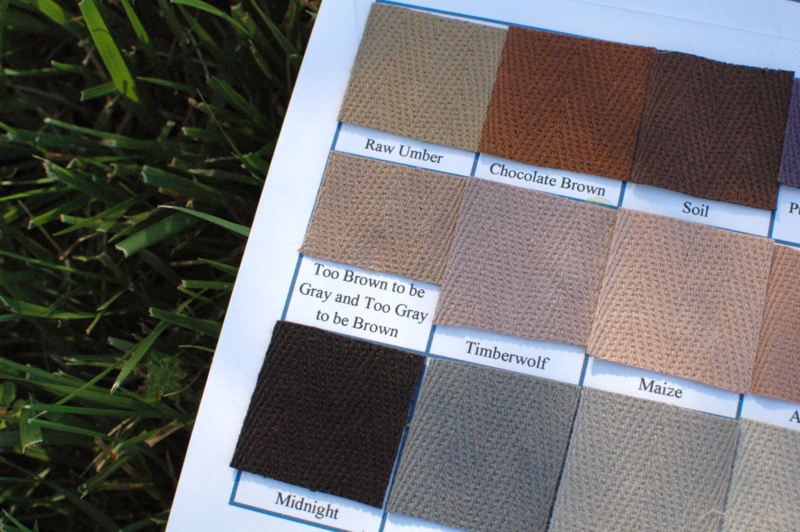 If you’re a numbers person, there are 24 types of lightweight, 26 of heavyweight, 73 size and color options in the twill tapes that come in colors AND an option for a color card that puts samples of all of the colors right in front of you. That’s a loooot of options. Speaking of color cards, I happen to have one. I’ve talked before about this thing I have for them. I love ’em, and this one is no exception. I haven’t yet experimented with the washability of the colored tapes but it’s on my to-do list. 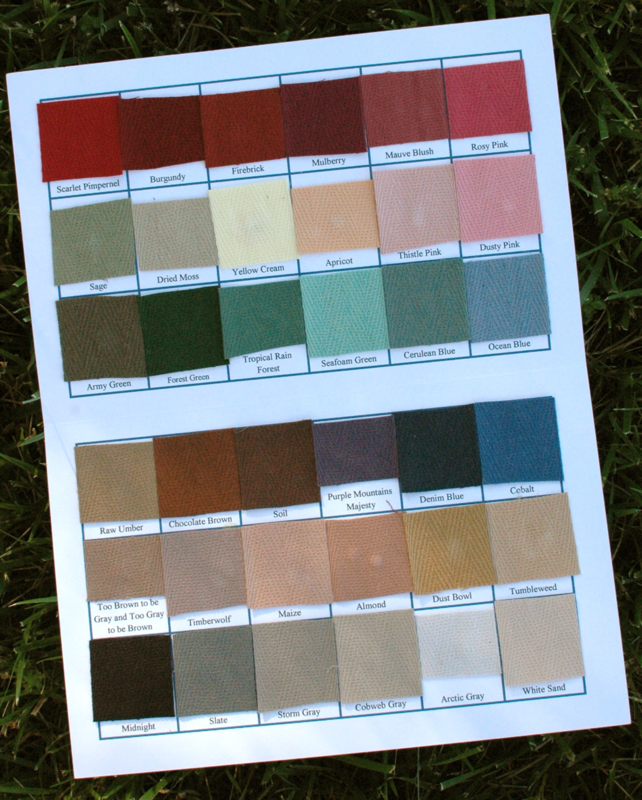 We’ve discussed this chart a bit behind the scenes in crafterhours world, and there’s a clear winner of the best-name-for-a-color award. As if all of these raw materials options weren’t exciting enough, there are custom-printed labels. 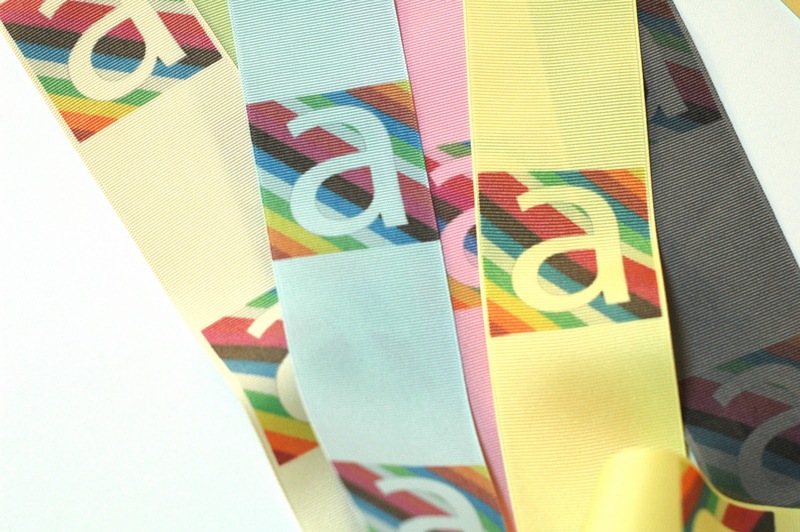 Twill Tape Guy will custom print your label design on twill tape or on grosgrain ribbon. We posted a design how-to on that last year. So– as a Skirt Week winner, you’ll get to take your pick, thanks to Twill Tape Guy. TTG is the 12th and final Skirt Week Sponsor! We’ve posted all week about all of the fantastic sponsors and are so grateful to have their support– both of us and their contributions to our eight winners. EIGHT WINNERS!?! Who are they? And how will the competition work this week? Stay tuned. I missed Twill tape week but this has me thinking. Who knew there was a Twill tape Guy. Hurray!